If there's one comfort food in the world that makes me feel all warm and cozy inside, it's definitely soup. And to define that a little further, it would be chicken noodle soup. Something about it brings me back to my childhood and just plain makes me happy. Now, this isn't a chicken noodle soup recipe, but I actually think it's even better, and that's some high praise coming from me. 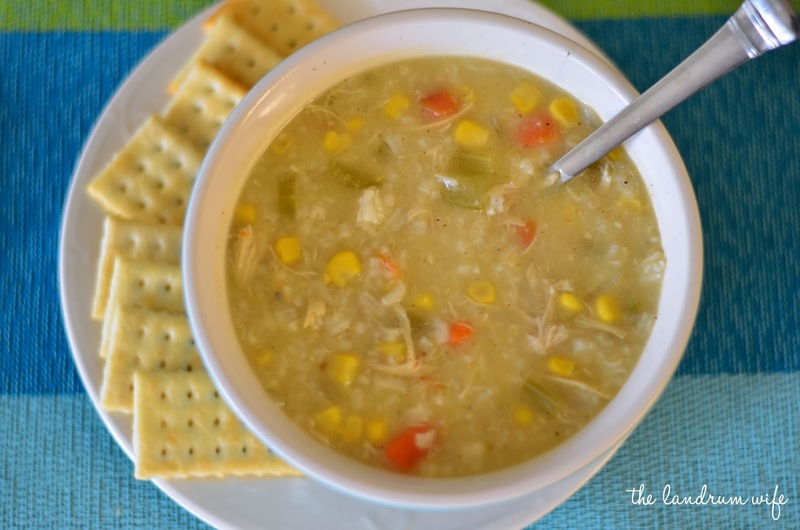 I'm pretty sure I've declared this my Favorite Chicken Soup of All Time and I've already stocked a few bags in my freezer for further consumption which will be perfect for all this "cool" weather we're having out this way (I know, I know, most of you "ha!" all over my version of cool weather now, but dangit, it's chilly!). You could probably say I'm obsessed, actually! Anyways! 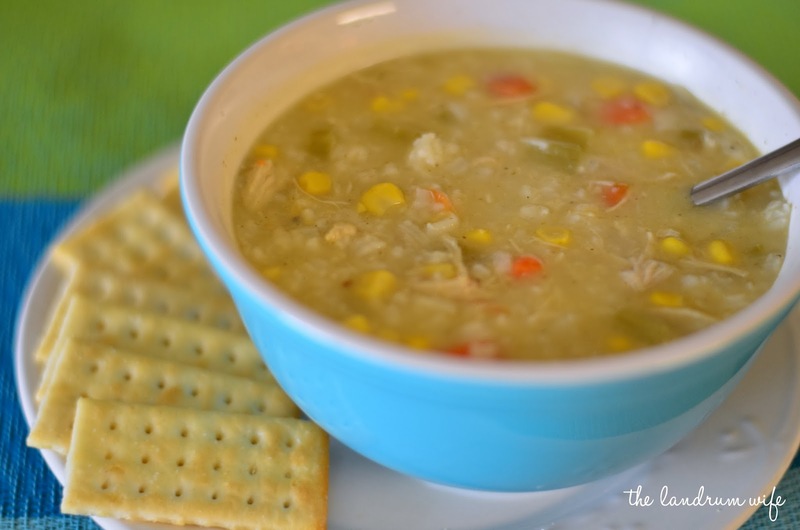 I definitely recommend you give this soup a whirl, especially when you need some warmth on an evening that's actually cold, haha. You won't regret it! 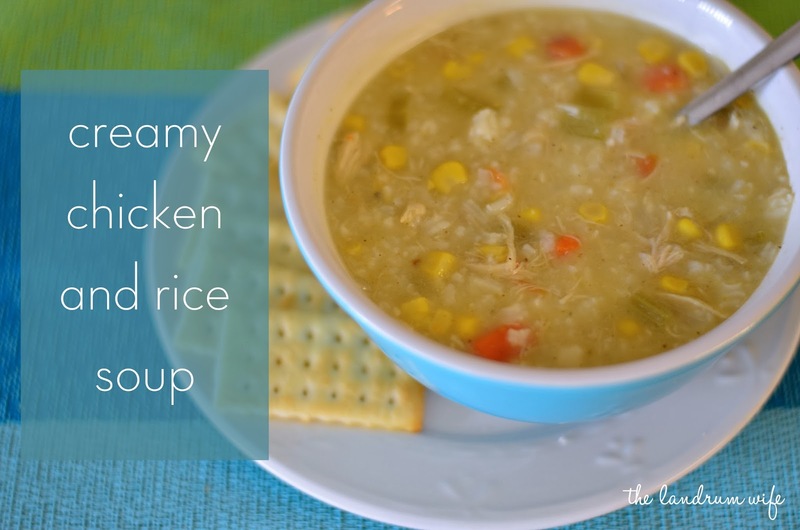 Adapted from Back for Seconds -- check out that recipe if you're looking for a crock pot version! Cook onions in heated olive oil for about one minute or until translucent. Add chopped carrots, onion, and celery along with minced garlic and saute for about 5 minutes. Add the chicken, chicken broth, Mrs. Dash, cumin, bay leaves, and salt and pepper. Bring mixture to a boil and add your rice. Cook for about 30 minutes (check to make sure the rice is done and go longer if necessary). Whisk together the flour and milk until combined and then add to the soup along with the corn. Simmer on the stove for about another 15 minutes until nice and thickened. Then serve with some bread or crackers and you're all set! 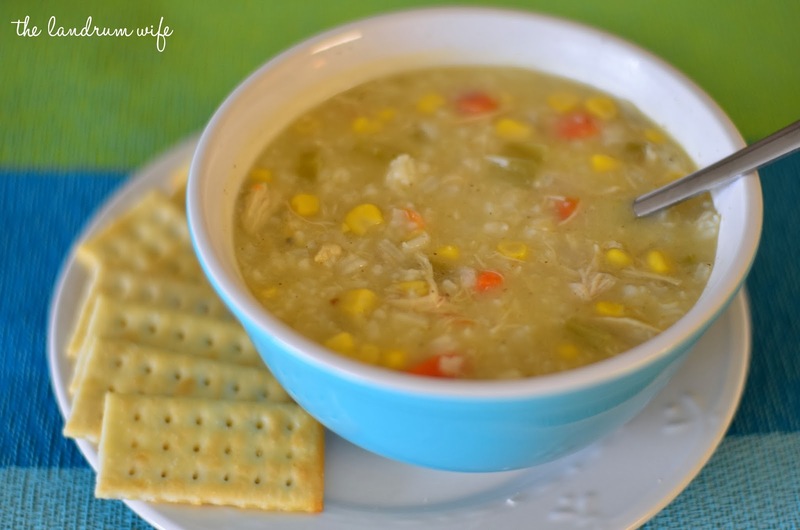 What's your favorite soup to enjoy in the wintertime?